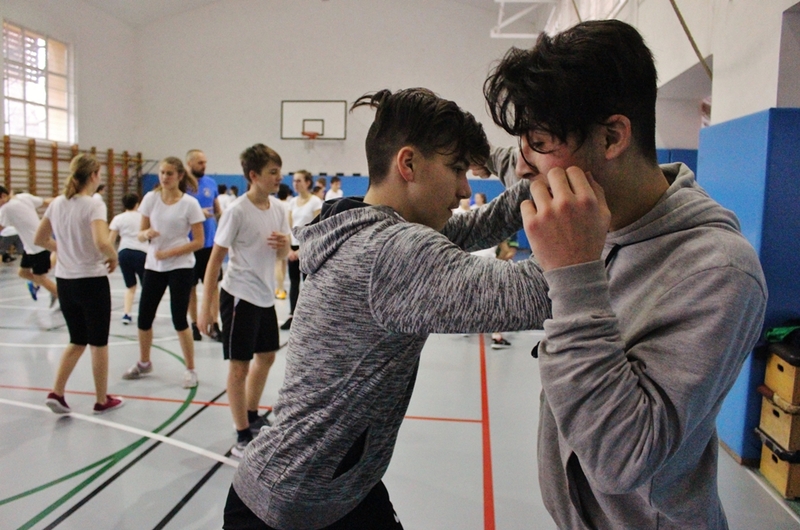 Our instrocutors from Hungary held Defendo self-defense training course for seven and eight graders of Széchenyi István primary school in Dunakeszi. During the twelve occasions of the course, the students were provided an opportunity to acquire the basic technique, tactics and strategy of Defendo self-defense system practiced by Saario Defendo Academy. At the closure of this occurrence, a final exam was held when in good mood the students proved their acquired prowess. This event proved to be an excellent opportunity and engagement for us, instructors of Saario Defendo Academy, therefore we would like to thank to the management and teachers of the school. We always try our best to fulfill any such request so as to make more children familiar with Defendo self-defense system.